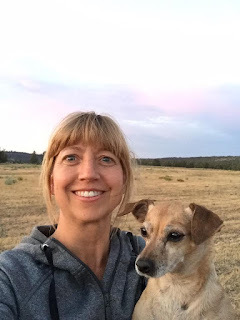 Gail Stouffer teaches workshops and classes in glass as well as other mediums in her studio in the Texas Hill Country as well as various venues around the country. She is the Director of Educational Content at Kilnfrog.com. specializing in kilns and equipment. She has a Bachelor of Fine Arts Degree from Long Island University and a Masters Degree in Art Education from Texas Tech University. Gail taught in October 2017 she will be joining us at Western Art Glass again in the future. Wesley Wong is an award-winning artist who designs and produces custom glass art from his studio in San Jose, California. His passion for glass started in 1981 with stained glass, which eventually led him into mosaics and fused glass. 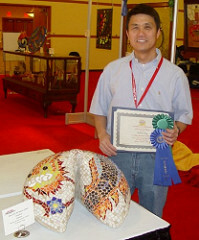 His work features lots of bright colors and intricate patterns and has been exhibited in many juried glass and mosaic shows throughout the United States. Wesley has written many articles for Glass Patterns Quarterly and is a regular contributor to the ASGLA annual stained glass lamps calendar. I am a glass enamel artist. I use finely powdered glass enamels mixed with water based or oil based mediums to paint onto glass. The majority of my paintings are done in a reverse process onto the back of clear glass. Each piece is fired multiple times in the kiln to cure the enamels as well as to change the glass, rounding it and forming it to the final product. I feel that the clear glass is simply a unique substructure for my artwork and allows my paintings to become more than just drawings – they become unique and one of a kind tiles, bowls and plates - functional art in most cases My art imagery is influenced by nature and whimsy. I constantly feel the need to express the fun and beauty I see around me. I love to include all sorts of animals in my work, mostly focusing on birds, dogs and cats. Owls are a particular draw for me as well as other backyard birds. Feathers, trees and flowers are also prominent in my drawings. I draw my ideas in a way that is unique to the final outcome of my glass paintings. The techniques that I employ for my enamel painting on glass are unique to this medium and so my drawings are more than just sketches – they are specific and detailed renderings of what I will trace onto the glass. My work does not hold some other-worldly meaning to me. It is simply a way to express my love of nature, fun and animals and I hope it puts a smile on your face.